Economists claim that markets set prices. But they are wrong. People running businesses set prices. People like you. And they are among the most important decisions you will ever make. Get them right and you could be on the road to fame and fortune. But get them wrong and your business will be doomed to failure. Most people, for one reason or another, at some point, tend to compete on price. This is a race to the bottom. Why would you want to do this – it’s crazy! We want to show you a better way. 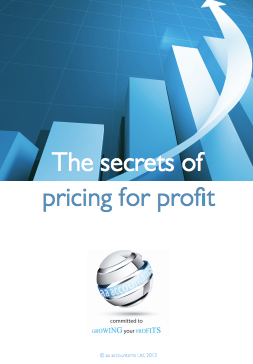 The secrets of pricing for profit report will do exactly that.